As an entrepreneur, doing keyword research for your website is essential if you want to be successful online. Through effective keyword research, you will know who is searching for what you are offering, and be able to enter the conversation in your prospects mind as they come to your site. This will increase traffic, page views and most importantly successful conversions! But have you ever thought about WHO is exactly searching for the keywords are you targeting? Do you know what their demographic profile or makeup is? Do you know where they are located, or if what you are writing about on your site is resonating with them? 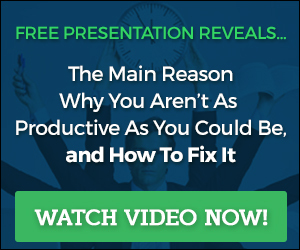 If you don’t know the answers to these important questions, you are going to love this post because I am going to show you an effective step by step process that will help you figure out the answer to every single question you may have. The best part is, all of these answers can be found using free tools. The first thing to do is to brainstorm the keywords you think your market is searching for. Write the list as big as you can so it will be easier to eliminate the ones you should focus on when it comes to creating content and implementing a campaign. Plug the list into the Google External Keyword Tool. Make sure that you examine the three different types of keyword searches (broad, phrase, exact) to get a better idea about how that word or phrase is being searched in Google. Pay attention to the search counts on a monthly basis to understand how often on average that term is searched per month. 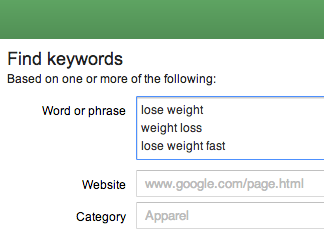 After narrowing down your keywords, then go to Google Trends and start plugging the keywords into there. This tool is going to show you two specific things about each word. It is first going to show you the trend of when the keyword has been searched over a particular period of time. You will be able to tell if there is seasonality in the searching of the keyword, or if the demand for the keyword remains steady. In some cases you will see the trend of the keyword increasing or decreasing. The next thing Google insights will tell you geographically where this keyword is searched within the United States and the world. It will allow you to drill down your keyword to the city level to gain deeper insights about who is searching for the keyword. The next step is a multi-faceted step. What you are going to want to do now is input the keyword into a Google search and see what the first 10 sites are on the homepage. What you will then do next is go to Alexa and Quantcast and plug those domains into the “site info” tab on Alexa, and into the search box on Quantcast. By examining every tab within Alexa, and then examining the demographic profile on Quantcast it is going to give you a good idea about who searches for that word in the US and the world. Be sure when you are in Quantcast you also look on the right hand panel and click Lifestyle (US) to gain a deeper understanding about who searches for that keyword for the website you are researching. Hi Scott — excellent post. Thanks for the roadmap of how to leverage use of key words. I admit I usually don’t drill this deep but I’m doing a key word project for a client and this is valuable information to have.